Guess what? A new wig!!! 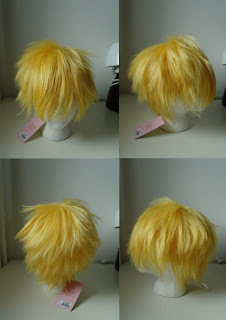 When I ordered the wig for Rinoa I also bought another one which I eventually sold because the color was completely wrong! Shall we now compare? First up, the yellow wig on the left side! 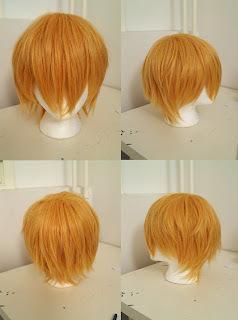 Not only was the color wrong, it was too short at the back and the sides, THE HORROR xDD And now for the second wig! 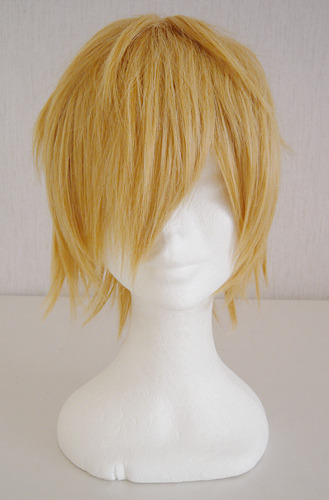 A nice blonde wig that's not shiny and is incredibly comfortable~ I know it kinda looks orange in my picture but I guess it's the lighting... so the last picture is from the seller, just to show it better.